Elite Youth Dance Company was founded in 2016 as an advanced group for students who demonstrate exceptional ability in and commitment to dance. Elite was created as a platform for members of True Motion Dance who wish to pursue a future career in dance. They attend performances, continually create work and perform around North Norfolk. All members of Elite Youth Dance Company have auditioned for their place and commit to working hard to improve their skills. Elite Youth Dance Company classes involve advanced technique tuition as well as an extra focus on developing creative thinking and performance skills. 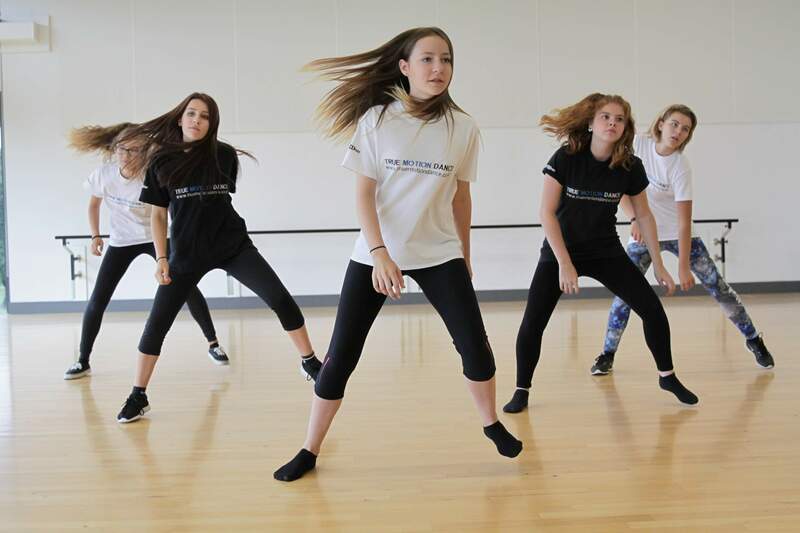 Elite dancers specialise in contemporary and street dance styles. Dancers work on creating a personal style that merges these two dance forms. All members of Elite are expected to fully commit to classes and performances. Members have input in how the company develops, their style and the pieces they create. Their hard work is rewarded with extra performance opportunities. If you are aged between 8-11 or 12 and 21 and you feel you have the commitment and skill to take on an advanced level of dance training please contact Kelly about upcoming auditions.